Hello and welcome to the realty page of Kevin Wardlaw, based in Phoenix, Arizona. Click on Featured Listings to see some of Kevin's listings, as well as some of his exclusive real estate and Equestrian properties. Navigate over to the Bio to see what Kevin is all about, or click on Contact to drop him a line. 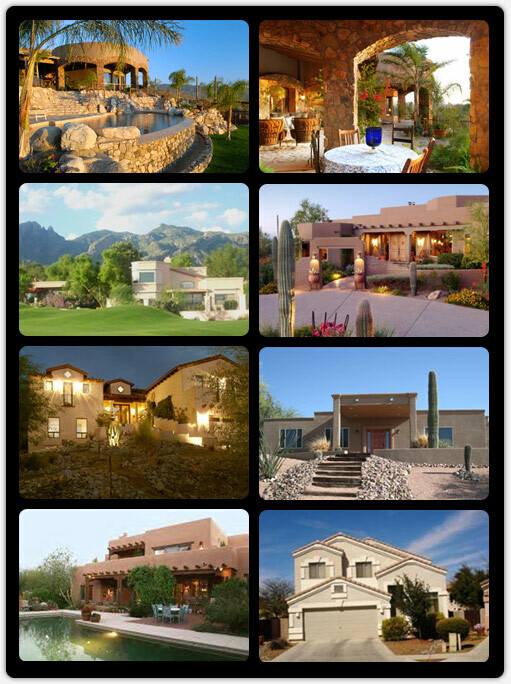 All around Tucson you will find that there are many properties available to rent or to buy. Many people decide to look for a rent property because they like the option of not having a mortgage to pay. They like the freedom of paying a service or property manager in order to keep a roof over their head. Some like the option that on the hot days of summer they do not have to get out there and maintain their landscape or find someone to fix their shingles after a monsoon. They can just stay inside their apartments or townhomes and have the property owner take care of it. Naturally not every Tucson rental property is like that. This is just one side of the rental/owner equation. Some people are out there trying to find a property to take over and begin to manage. There are many who seek the challenging and rewarding career or property management. Most people see that potential money maker that owning a property can be but they do not quite see all that is involved in managing the property. Owning the property is good enough for some people and deciding to pay someone to manage the facility is what some people do who do not want to get involved in the everyday work. There is not a particular method that people follow in order to try to manage their properties. What they will attempt to do is to find a property for sale and see what they need to do to either get the property back on track or begin the initial management process. There will be property managers who like to observe from the outside and then get with the current owner to see what condition the property is currently in. This is absolutely necessary before a person looks to purchase a property. Depending on the person and the business, they might want to look at getting a residential property or a commercial property for their managing. With the current Tucson economy, some people are trying to ride out the wave of unemployment which in turn is hurting the purchasing power of some businesses and individuals. In the past you would see that people would buy house, fix and change some of the interior, exterior and then attempt to see it for profit. Well now they are not as sure if their residential home they are flipping will sell. If it does not sell, then they are stuck with the mortgage of the house. For many this has been a lucrative business and now with the unsafe economy some people have to find other methods of income. There are still many people who have not given up on the possibility of being a property buyer and owner again, they are just waiting for the market to even out. On the flip side, those people who have some extra equity or extra money saved away in a safe place can really make a name for their selves in the business world. What they can do is see that there are some commercial properties for sale that are available for purchase. Businesses will access each property to see which the best one for their business venture is. Depending on the location in Tucson, some business could really clean up and take over some very big properties and restore them to a profitable state. The benefits of buying a Tucson home are many. Appreciation, tax write-offs, and stability are among the most important. If you've saved up a sizable down payment and have been careful with your credit, you should be in good shape to take advantage of the lowest interest rates and lock in a low payment. Nowadays, most home searches will start on the internet. Buyers are technically savvy and know the benefits of virtual tours and online listings. They also understand how to map out the property and even get satellite views of the house, as well as see how it looks from the street. Getting a decent idea of what you want can be accomplished with an evening of clicking around on the internet. When you find a few homes that you're interested in looking at, call Kevin Wardlaw. First time buyers are often surprised to learn that Kevin can take them to see any home- not just the ones that they've personally listed. When touring homes, take a notepad and pen with you. After seeing a few homes, they will all become a blur, and you'll remember the kitchen from number two being next to the patio in number four. It is difficult to remember specifics about many different houses looked at in one day, so your notes will come in handy to jog your memory later. Also, pick up available flyers, or take a couple of pictures of features you like, noting which home they belong with by taking a photo of the house number first. Is the location good? Pay attention to the surroundings- watch for parks, excessive traffic or noise, power plants or large electrical towers nearby, as these all detract from its attractiveness, and its price. If it does have one or more of these elements, decide if you can live with it, and bid low. Another trick is to give each house a rating from 1 to 10 as you leave. If you find a house that is perfect, buy it. Though you may feel you need to keep shopping, why would you? Chances are, you won't find another house that you like as much as that one. If you don't put an offer on it right away, someone else may come along and snap it up. After looking at a number of homes, you probably have a few that are on the top of your list. Ask to see those favorites again and you will see different things than you noticed the first time you looked at the houses. This is the time to nitpick the houses and keep track of anything negative that you overlooked on trip one. Choose the home that you decide fits your needs, and make your offer with Kevin Wardlaw's assistance. A rule of thumb is to start about 10% below the asking price, unless the market is very depressed, in which case 20% below asking price should not insult the buyer. Negotiate the purchase price, handle the financing and paperwork with the assistance of your real estate attorney, and enjoy your new home. The current condition of the real estate market in Tucson is decidedly a buyer's market. What that means is that there is a glut of homes on the market and few qualified buyers. A buyer's market gives buyers a great negotiating position, and purchase offers should reflect that. Find out about new listings using the Property Search tool to match the area and price range you are interested in so that you can move fast when something perfect opens up. Those homes which have languished on the market for several months are easy to spot. Besides seeing the "for sale" sign out front for an extended period, they are often those which have had price reductions in an effort to produce offers. The sellers of these homes will be more receptive to low offers and negotiations. Get a list of comparable sales in the neighborhood, including those which have recently sold and the complete information about the homes. The comps should have the address, age of the home, square footage, yard size, how many bedrooms and bathrooms, and the actual selling price. Asking for contingencies like your house selling before closing on the new home are possible in a buyer's market. You should also ask for a loan contingency that would protect you in case there are any glitches with financing. Other contingencies for home inspections, pest or radon reports are also important, and during contingency periods, the buyer can totally back out of the deal without losing any deposit money. Ask for an allowance to change something you don't like about a house that you otherwise want to call home. Be careful with the wording on the sales contract, and even check with your lender to be sure that it won't cause any issues with your financing. Closing costs can be large out-of-pocket expenses for buyers, and during a buyer's market, the seller will usually be willing to cover part, or all, of those closing costs if it means a sale. After the home inspections are completed, you can choose to cancel the contract or ask for adjustments in the price if you'll be responsible for any needed repairs that weren't obvious when you toured the house. Ask for something extra, like a home warranty plan that will pay if the furnace breaks or the fridge dies in the first year after the closing. Short acceptance times can get you an answer from the seller in less than a day, and a short decision period can work in your favor. Don't give them time to talk to neighbors and coworkers who think they know it all. In a buyer's market, if they really don't want to sell, move on to the next one!